This year’s Ship Rocked would feature some of rocks best bands to date like 10 Years, HellYeah, Halestorm, Like A Storm, Red Sun Rising and future guest the Biters. I was lucky enough to have the Dead Deads from Nashville willing to conduct some interviews in-between there stage shows, meet and greets, drinks, buffet lines and costume parties to speak with a few bands while also rocking the high seas. The Dead Deads would welcome back to the Revelator show Nonpoint & Islander. The Dead Deads would also talk with Bumblefoot and they would sit down with Helmet to talk about musicianship, influences, and new music from Helmet. Page Hamilton also shares some great stories about Dime Bag Darrell and more. I’d like to thank the Dead Deads and Jen Silver for their amazing support of the Revelator show. Get your horns up and check out these candid conversations from some of amazing shipmates. Bumblefoot also now know as Dead foot or Bumble Dead. Ron sat down with The Dead Deads to talk about his plans for recording, producing with Darrel from Run DMC & Generation Kill, traveling to Thailand playing for Gestures Care for Kids, playing in the Randy Rhodes tribute, and his band Art of Anarchy. The Dead Deads and Bumblefoot also brainstorm a potential expansion on a chocolate laxative excavation! Look for lots of great things form Bumblefoot on 2016. The band Islander appear on Revelator 148. 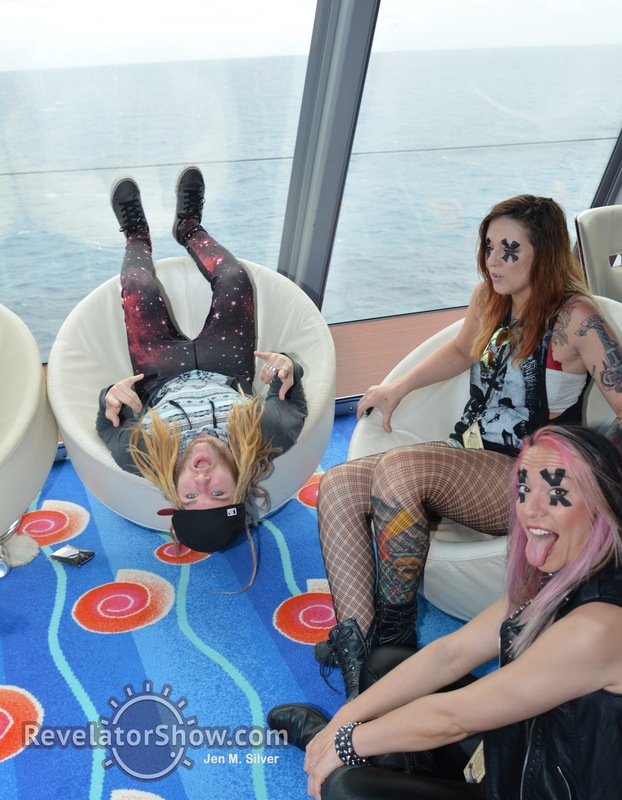 Islander sat down with The Dead Deads while on Ship Rocked to talk briefly about fun stories at the Texas roadhouse, Ric Flair impressions, awful day jobs and their involvement in the Whosoevers non-profit charity. The guys from Islander discuss plans for recording of their follow up to their 2014 debut album Violence & Destruction. The lead vocalist shares his unique style when recording and coming up with lyrics while recording. Mikey Carvajel from the band Islander joins me on Revelator #121 to talk about the bands current tour, future writing plans, pre-show wrestling impressions, and the bands success on their current release Violence & Destruction.